When your parent or aging family member receives a diagnosis of Alzheimer’s or dementia it may be hard to know where to turn for help, particularly if your loved one is in good health otherwise. Visiting Angels Georgetown TX offers non-medical in home care to individuals with Alzheimer’s and other memory related illnesses. 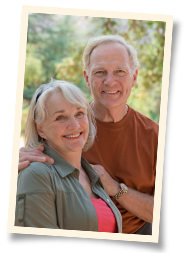 Alzheimers care services from Visiting Angels Georgetown TX can help give you guidance and assist your loved one with activities of daily living. Countless families in Hutto, Jonah, Jonestown, Lago Vista, and other communities near Georgetown have come to trust and depend on the Alzheimer’s care they receive from Visiting Angels Georgetown TX. Our services can help keep your family member safe while allowing them to maintain their independence at home. Caring for individuals with Alzheimer’s, dementia, and memory disorders requires a specific set of skills and a deep sense of compassion. Therefore, we worked alongside the Alzheimer’s Foundation of America to create a highly specialized training program for our caregivers who work with clients who have memory disorders. We are proud to say that Visiting Angels was the first non-medical home care provider to offer this type of training. Visiting Angels Georgetown TX goes above and beyond to provide the best Alzheimer’s care services. When you choose Visiting Angels Georgetown TX for your loved one’s Alzheimers care, you will have access to a variety of helpful services. Whether your family member is newly diagnosed or further along in the progression of their disease, our in home assistance can help them live comfortably and safely at home. The compassionate professionals from Visiting Angels Georgetown TX frequently assist families with tasks such as meal preparation to ensure good nutrition, calendar and appointment reminders, transportation to the grocery store or physician visits, and companionship. One of the many benefits to receiving Alzheimer’s care from Visiting Angels Georgetown TX is the flexibility of our plans. The number and length of visits as well as the time of day visits occur are all open to your input. Your options are practically limitless. Our care can range from live-in care 24 hours a day, to weekly visits to provide companionship. Temporary or long term, we will work alongside you and your loved one to create an Alzheimer’s care schedule that works for you. Visiting Angels Georgetown TX has the needs of our clients at the forefront of our care. If your loved one has been diagnosed with Alzheimer’s and finding in home care is at the top of your to-do list, contact Visiting Angels Georgetown TX and let us ease your mind.